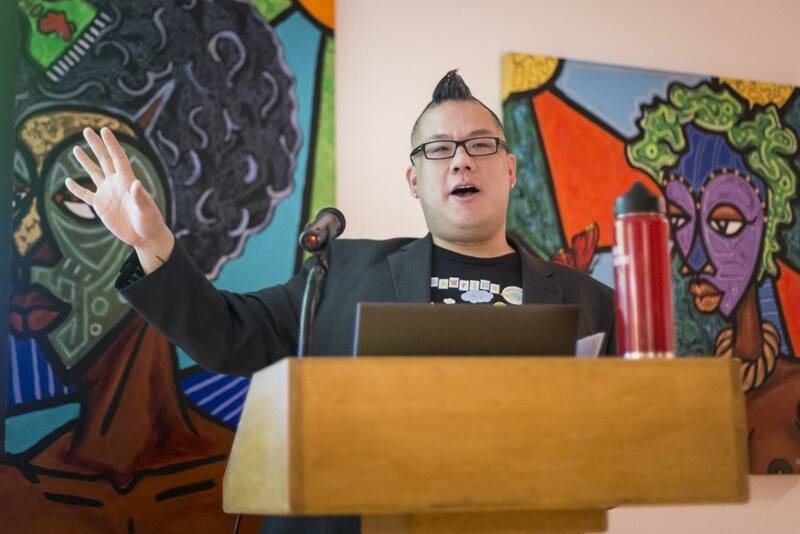 Assistant professor of women’s and gender studies at the University of Oregon Edmond Chang gave a talk titled “Brown Skins, White Avatars: Racebending and Straightwashing in Digital Games” at the MultiCultural Center on Tuesday. Chang discussed how video games like Assassin’s Creed and World of Warcraft manipulate race and sexuality, reinforce stereotypes and sometimes lack diversity. He argued for a more progressive era of gaming in which more racial groups existing in reality are represented in the virtual world. Chang said people tend to “naturalize” certain virtual character images. Chang said Resident Evil 5’s storyline features a white-versus-black conflict. “[The game’s storyline is] essentially a narrative about a white protagonist killing mostly very black zombies,” Chang said. Chang said there are games that incorporate racial or sexual diversity mainly to appease their audience. Jeremy Douglass, an assistant professor at UCSB who specializes in English and teaches game study classes, said Chang offered an insightful presentation. “I really enjoyed the way that he described being able to play games he loves and yet find things in them that he wanted to criticize,” Douglass said. This entry was posted in #thirdyearfaculty, Events, Gaming, News, Queer, Uncategorized and tagged Daily Nexus, KCSB, talk, UCSB Multicultural Center, wordpress installation. Bookmark the permalink.